It’s a classic, and one of my favourite meals of all time. 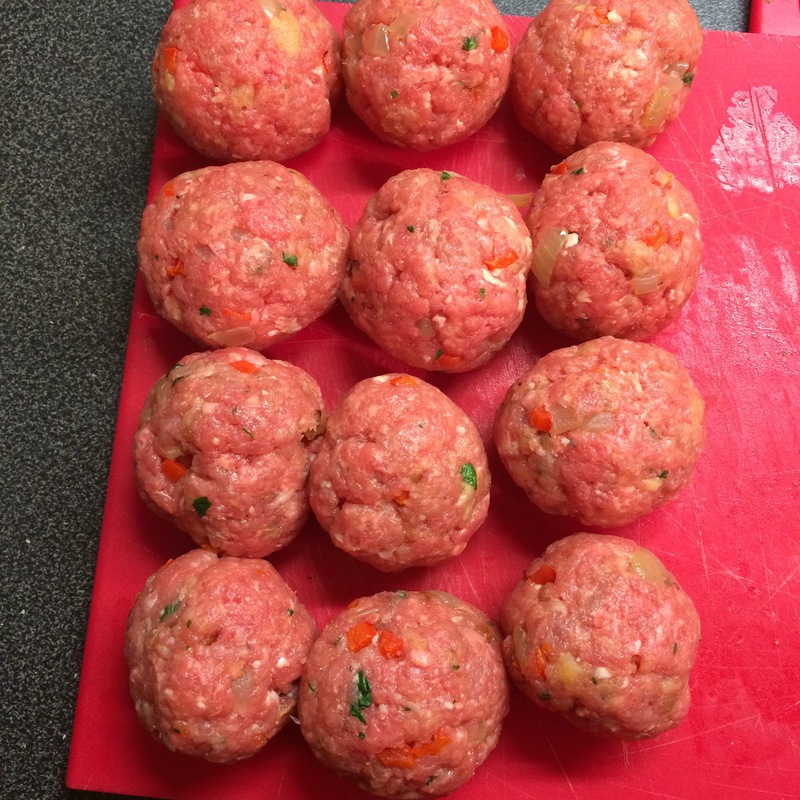 I’ve tried several different recipes for meatballs and in the end I found no individual one quite gave me the flavour I wanted so I began to experiment a bit. I tried all kinds of different herbs, spices, and ingredients before settling on my tried and tested version below. It’s definitely one of my favourites so let me know if you try it out too! 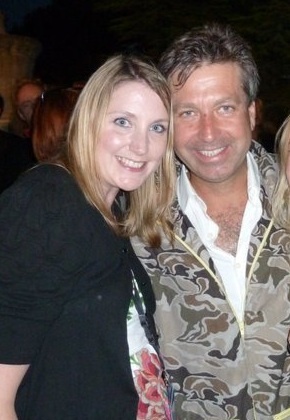 My recipe is based around this one by John Torode but adapted a little to suit my tastes. That’s the great thing about meatballs, you can put pretty much anything you want in them depending on what you like. I always serve mine with home made pasta. I learnt to make this on a cooking course I went on a while back and you can read how to make your own here. 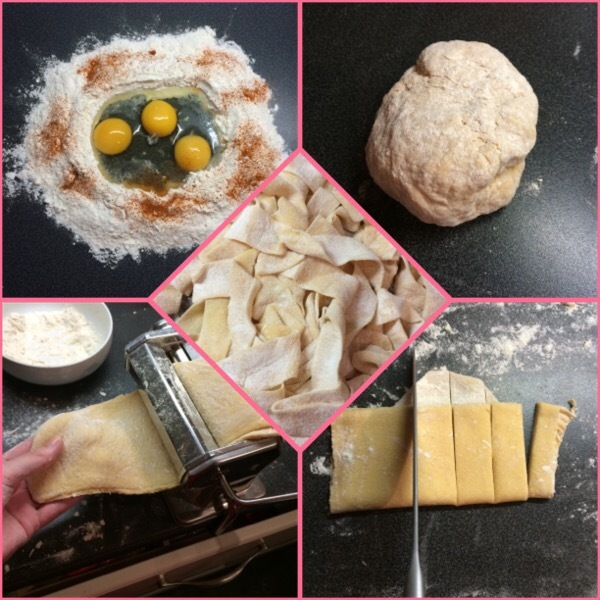 For this recipe, rather than cutting it through the pasta machine, I rolled it out and cut it into thick strips to make papperdelle. 1. 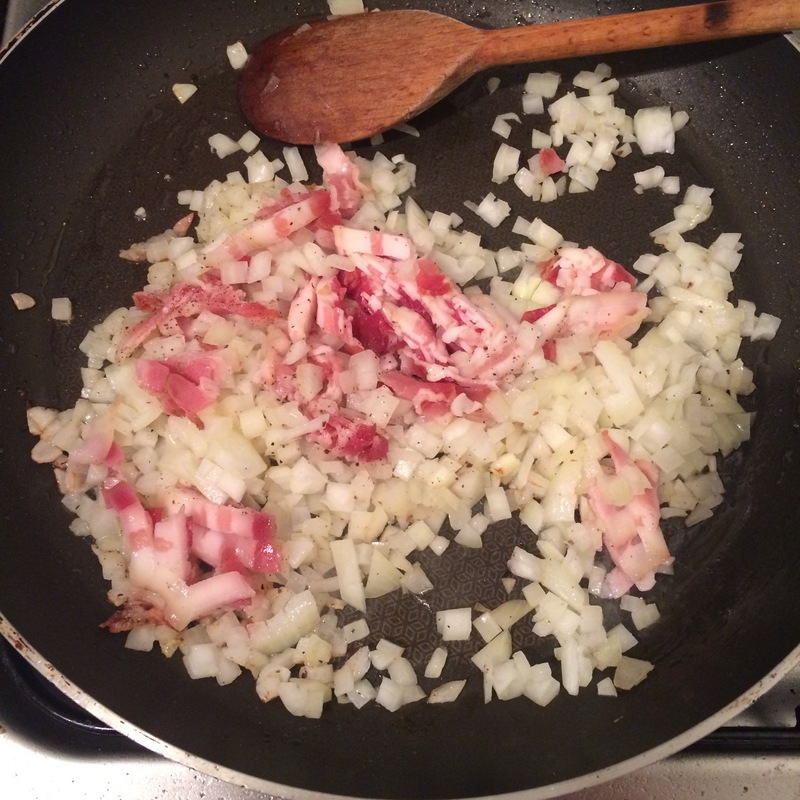 Fry the onion and pancetta until the onion is transparent. 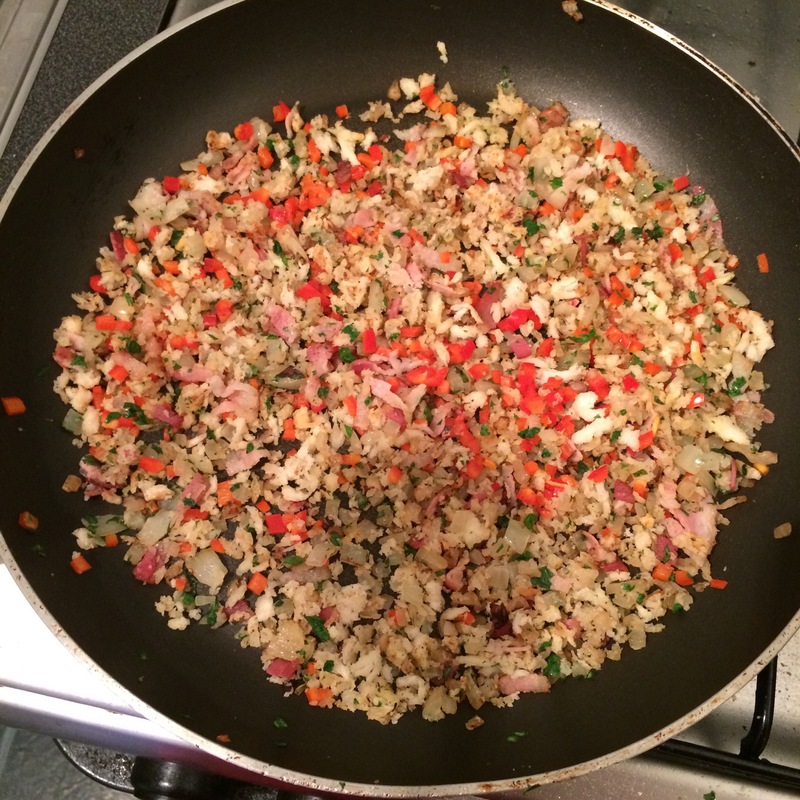 Add the chilli, garlic and breadcrumbs, season with the herbs and salt and pepper and cook for a further 5 mins. 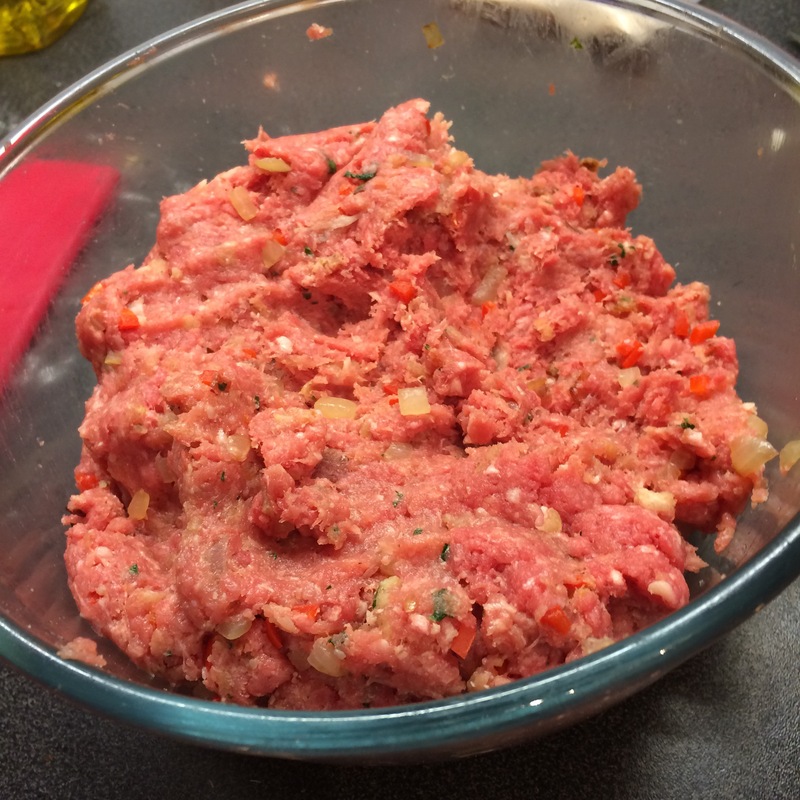 Mix in the parsley then put the mixture in a bowl to cool slightly whilst you prepare the meatballs. 2. 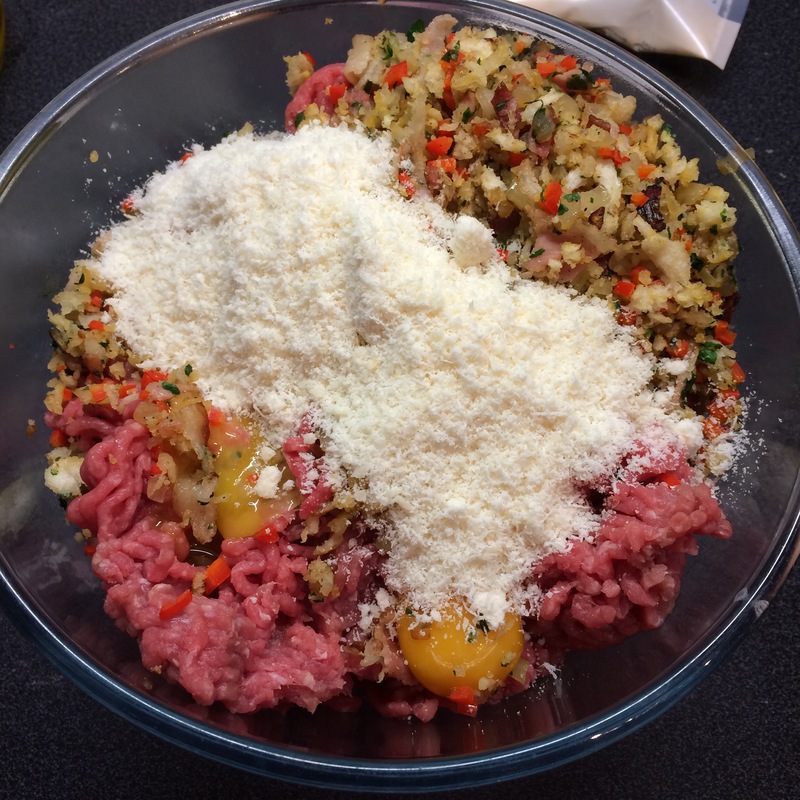 Put the beef, pork, parmesan, egg yolks and half of the breadcrumb mixture in a large bowl and using your hands give the mixture a good squeeze to mix it all together. You want to make sure all the flavours are mixed well through out so every little ball is packed full of flavour. Some recipes recommend putting the mix in a blender but I find this method much easier. 3. This mixture will make a lot of meatballs – about 30-36. I always double up when I make them so I can freeze a batch for a quick midweek meal. Roll the mixture between your hands into small balls no larger than the size of a golf ball. 4. 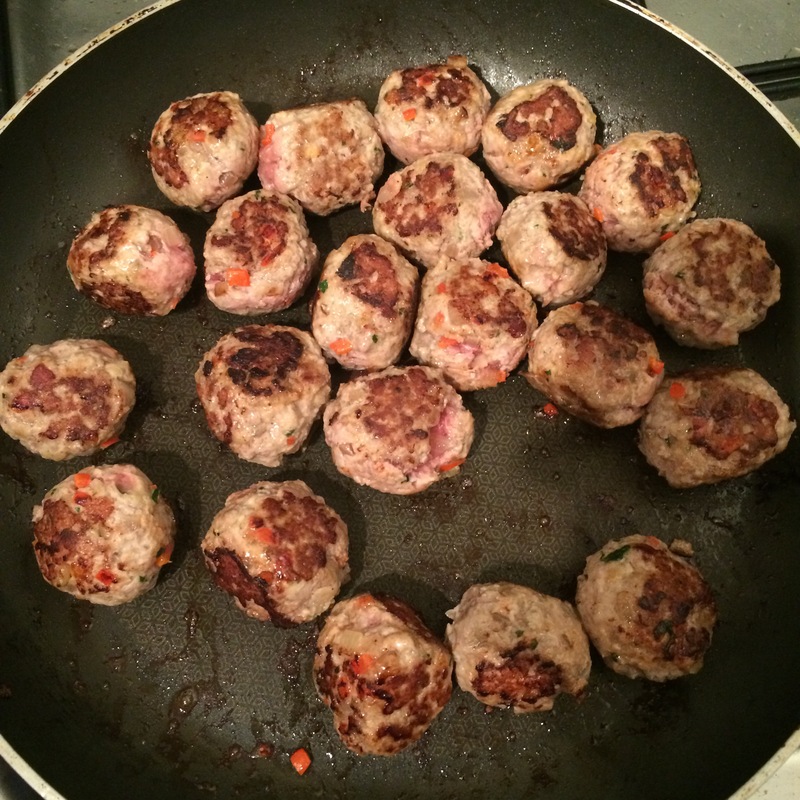 In a large frying pan, brown the meatballs on all sides and then set aside. 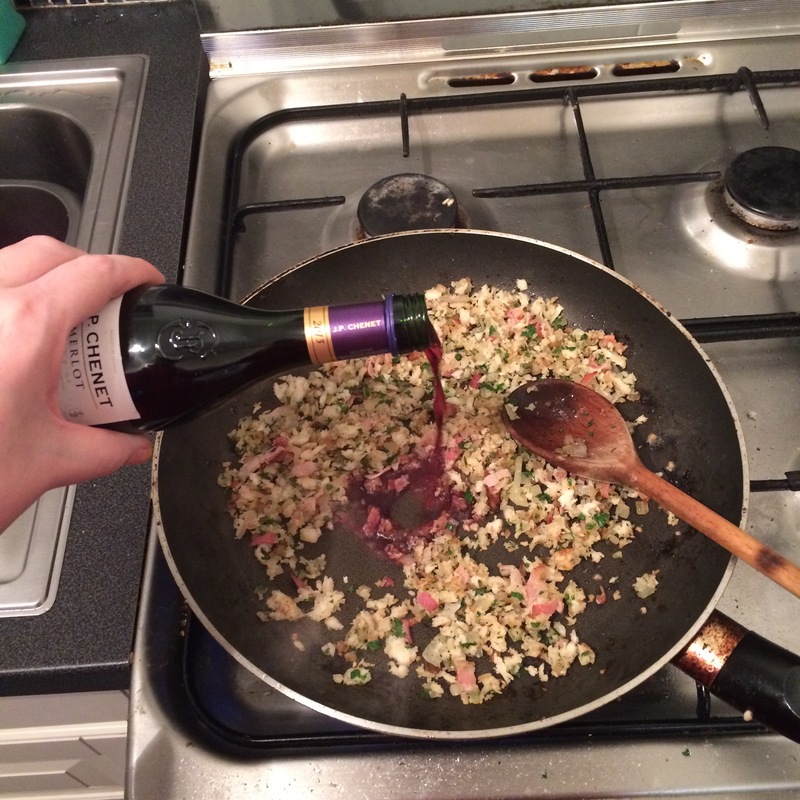 In the same pan, add the remaining breadcrumb mixture and a good splash of wine to deglaze the pan. 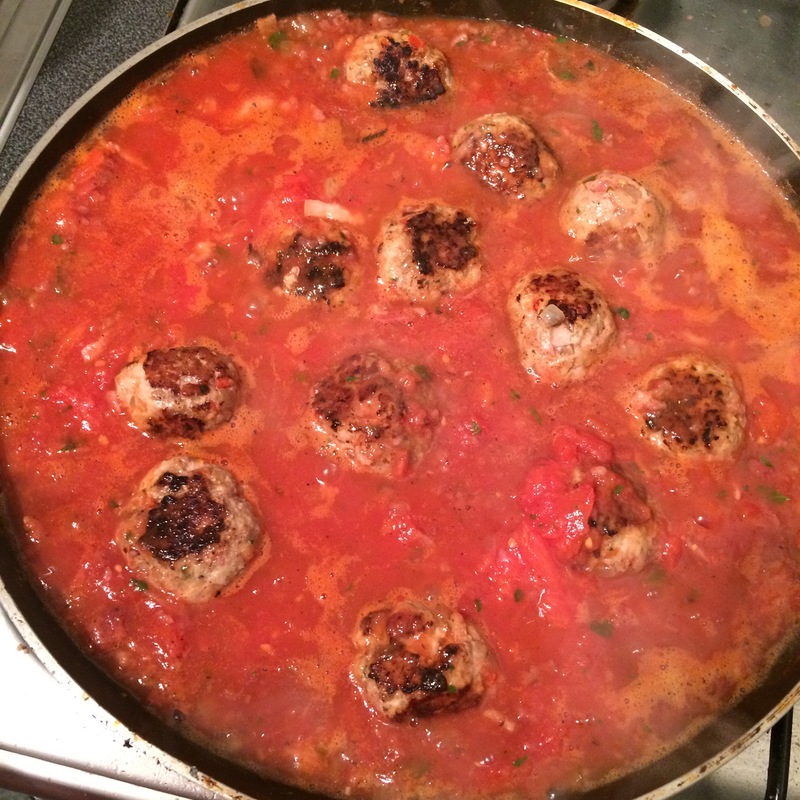 You want to get off all the bits stuck to the pan from the meatballs to give the sauce lots of flavour. 5. Add the two tins of tomatoes and a tin full of cold water and bring to the boil. 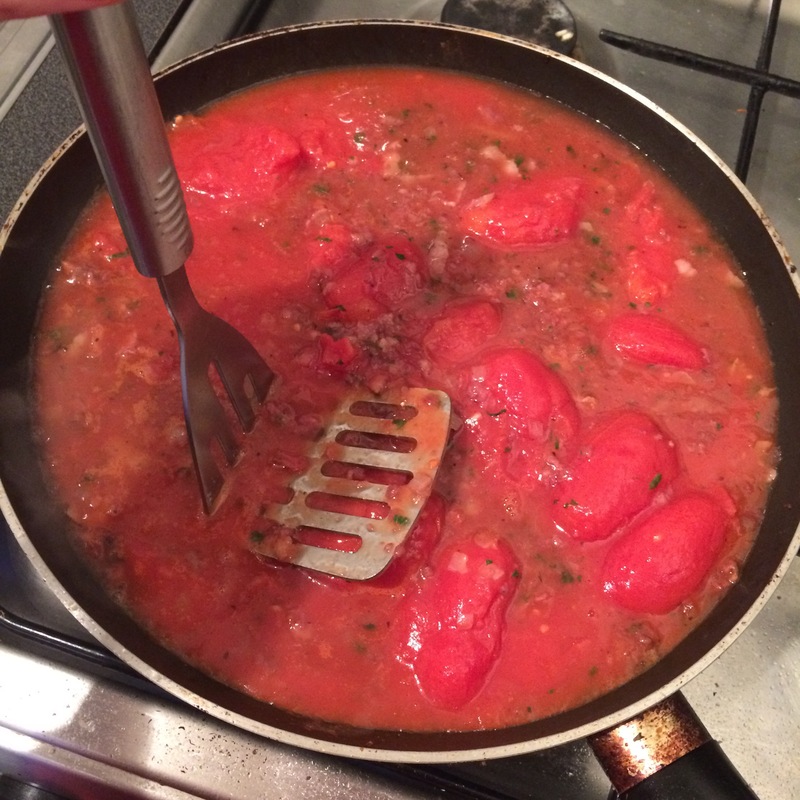 I then carefully use a potato masher to mash up the plum tomatoes to make sure they break down properly. 6. Season the sauce and add the meatballs. Leave to simmer for around 20 mins, stirring regularly. 7. 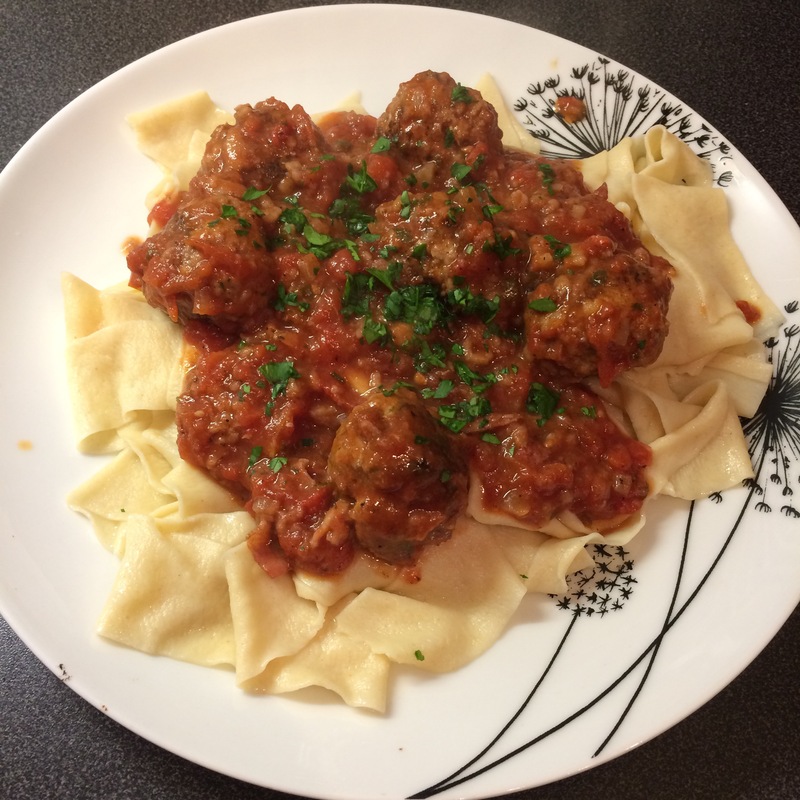 Prepare your chosen pasta in the meantime and serve the meatballs with lashings of sauce, a sprinkle of parsley and parmesan according to your taste. So its one of my favourite days of the year tomorrow – PANCAKE DAY!!! I love the sound of this recipe from Delicious Magazine . Stuffed pancakes filles with yummy ham and cheese goodness and baked in the oven with even more cheese on top. Yum. 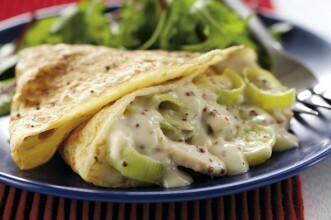 Yummy chicken and leek oozing with a mustard sauce makes this Good to Know recipe irresistible. Who doesn’t like a good serving of chocolate lovliness? 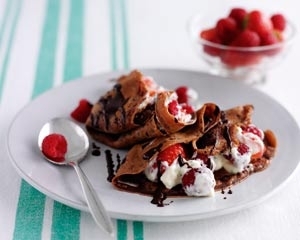 Give these chocholate pancakes over at UKTV Food a try with some yoghurt and berries to finish it off. I fell in love with dulce de leche when I was travelling around South America last year and couldn’t get enough of it whilst I was there. My rule is you can pretty much have it with anything so why not smother a pancake in it! 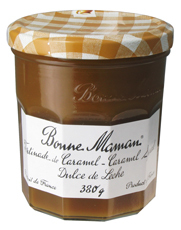 The nearest product I have found here is Bonne Maman’s Confiture du Caramel available from Waitrose, £2.19. 5. 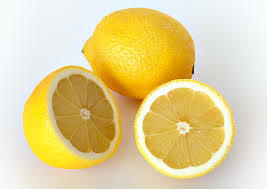 Of course….Lemon and sugar! You still can’t beat good old fashioned lemon and sugar on a pancake. It should always be freshly squeezed lemon juice (not from a plastic lemon shaped container) and a good sprinkling of sugar. I am drawling just thinking about it! So I can’t take the credit for this recipe, I was taught by my family in Australia when we visited last year and I’ve been hooked ever since. 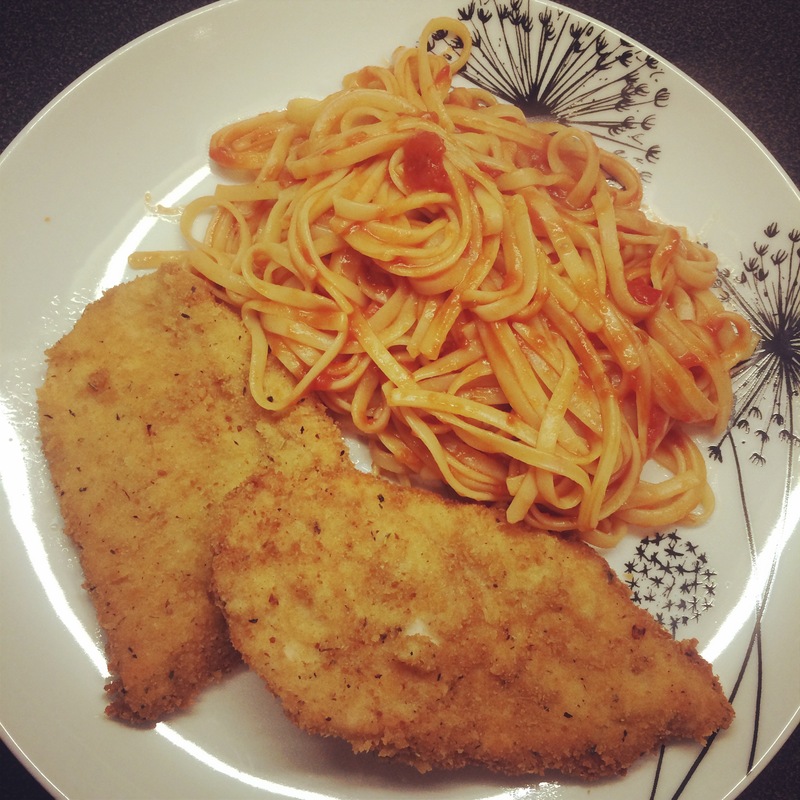 Schnitzel night in our household has become a regular occurrence now and the great thing is, it’s really simple to make! Chicken breast – 2 is normally more than enough for 2 people with some left over. 1. Pre-heat the oven to gas mark 4. Set out 3 bowls. 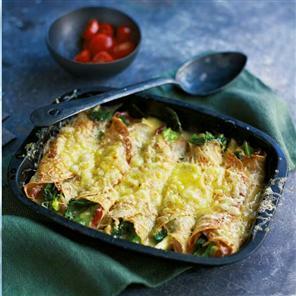 In one, place some plain flour with a large dash of paprika and seasoning. In the second, beat an egg and in the third, place the breadcrumbs and a good amount of herbs. Then, cut the chicken breast into thin slices, I normally get 3 out of each breast. 2. 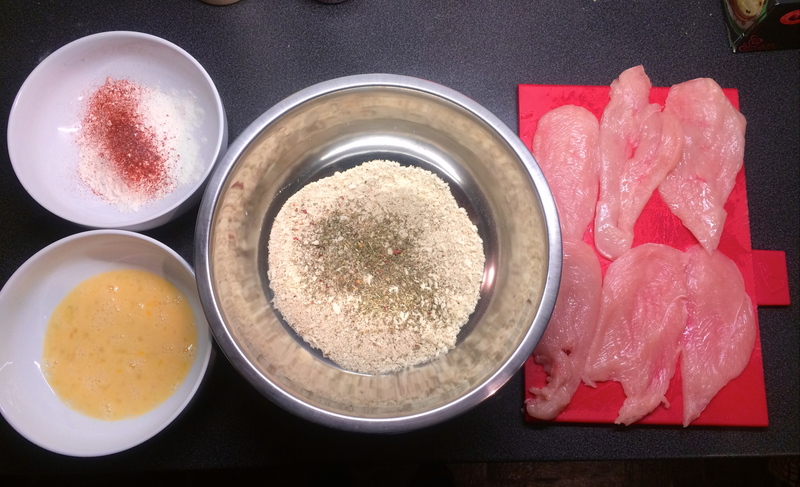 Next, take a piece of chicken, coat it in the flour mix, then dip it in the egg, then cover it in breadcrumbs. 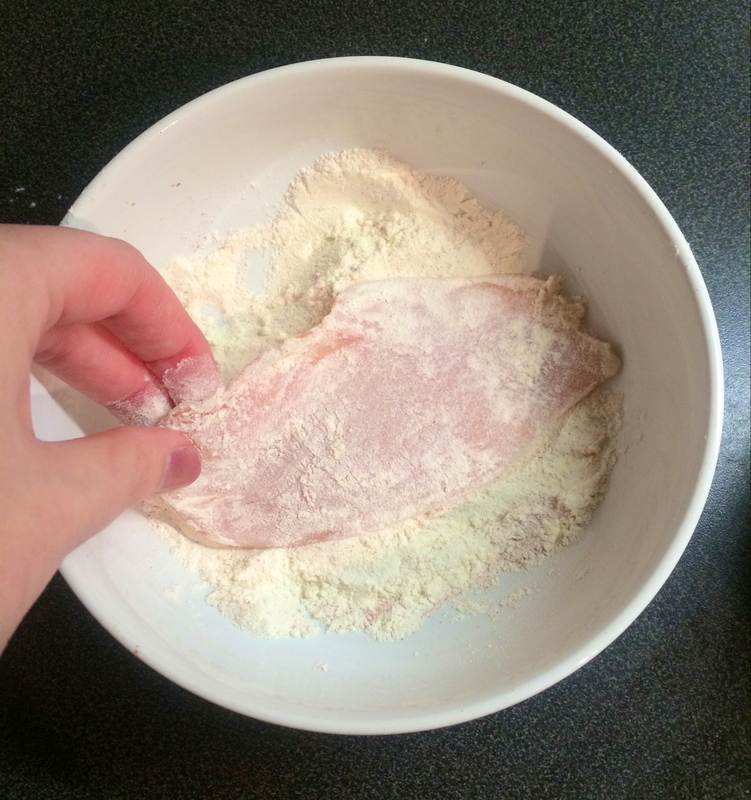 Pat the breadcrumbs into the chicken breast to make sure they stick well, set aside and repeat until you have coated all your chicken. 3. Pour about 1 litre of oil into a heavy basedsaucepan and put on a medium heat. The oil needs to be very hot in order to cook the schnitzel, you may be surprised how long it takes to get to the right temperature. To test the oil, I drop a little bit of the left over breadcrumb mix in to see if it is ready – if it bubbles and rises to the top then you are good to go. 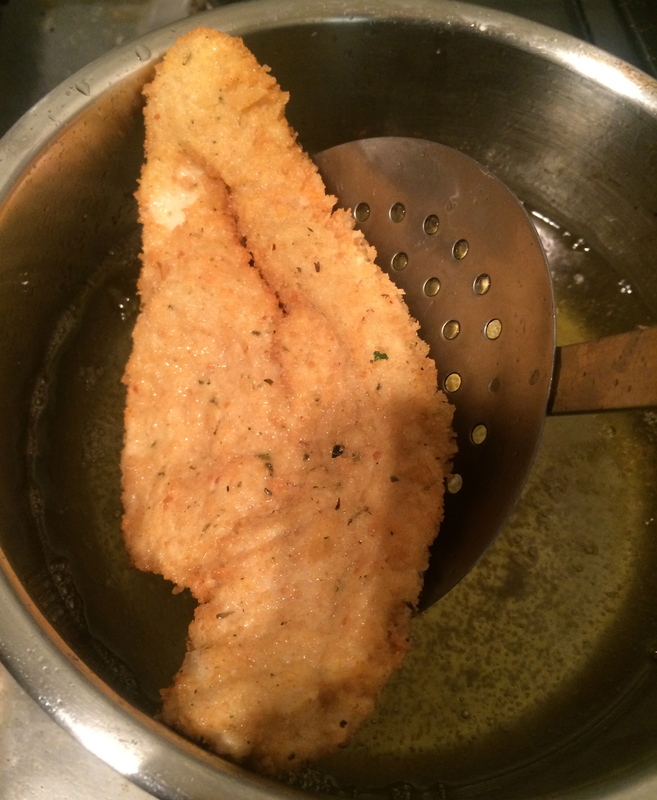 Fry the schnitzel, no more than 2 pieces at a time, until lightly golden brown. This should not take very long. Keep an eye on the oil temperature and make sure it doesn’t get too hot. Remove the cooked schnitzel and set on a baking tray. 4. Place the schnitzel in the oven whilst you prepare your sides, this just makes sure the schnitzel is cooked all the way through and keeps it warm! I always serve with linguine with a tomato and chilli sauce but you could serve with whatever you fancy!